I have LogPlot 2003, and need to add core photos to the file. I don't see any way to do this on the help page. Is it possible? Add a Bitmap Column to your LogDesign (LDF) and then add a Bitmap datasheet to your data and add the images (JPG and BMP). If you click on Help in the Bitmap Column Setup dialog it will explain the settings. LogPlot 2005 makes this feature easier to use and allows you to use more raster formats. Thanks Mitch. Do the settings allow you to merge separate photos in a column? You specify a top and base for each image in the Bitmap datasheet, so you can do multiple images. Another question for you - I can't seem to figure out how to add a horizontal scale bar (x-axis) to my curve plots within my file (attached). I have a y-axis (depth) scale bar, but I need to add a scale bar for the other variable as well in the curve plots. I thought I would be able to do this in the "Table" function under the "Edit Entity" of each curve plot, but as far as I can tell it doesn't allow you to just put one scale bar at the very top of the plot. It only seems to want to put them in the middle or throughout the plot. Also - I followed your instructions for adding a JPG file and, although the image orginally was very high resolution, the output in the plot is VERY pixelated. Can this be fixed? Couldn't see your link but there are 2 ways to have a scalebar for your curves. 1. Create it yourelf from lines and static text in the header. (LP2005 has an automated version of this). 2. Look at the Legend options for the curve in your LogDesign. Thanks for the suggestions. We're making a second try at the figures (attached). Unfortunately, we're stuck w/ LP2003 for the near-term. We already tried option 2 (sorry, I said "table" function, but meant "legend" function; it doesn't seem to have any option to put an x-axis scale bar either at the top or bottom of the plot, rather than the middle of the plot). Option 1 seems doable, but a bit inaccurate (having to estimate the spacing of tic marks on an x axis by hand) and cumbersome. I take it this option means that LP 2003 can ONLY put x-axis scale bars in the middle of a graph. That seems pretty non-standard, to say the least. And any way to improve the resolution of included core-log photos on the final printout? We can't seem to get anything but really pixelated versions. The Legends option is meant to give a down hole display of the X axis scaling. Most of our users used header method. 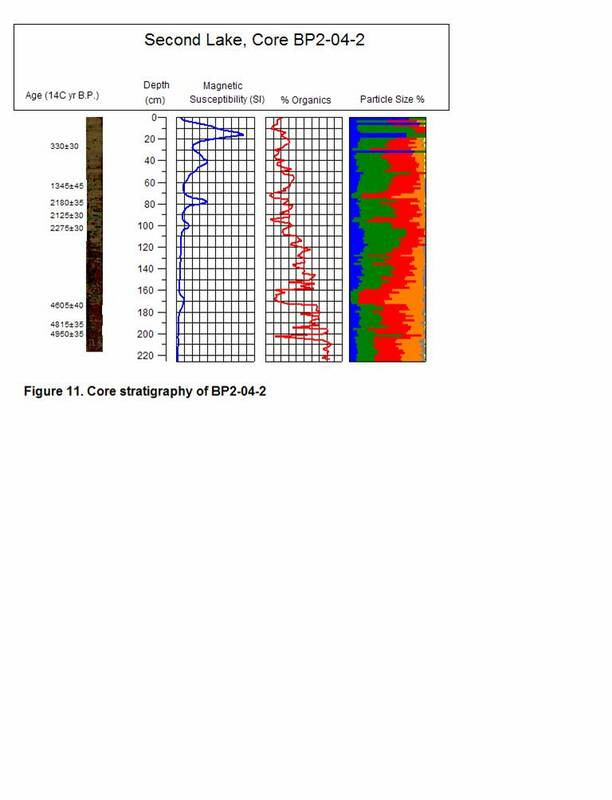 Take a look at the Geophysical2.Ldf for an example. In LP2003 the stretching of images is very simple and changing from one resolution to another is often poor. I'd reccomend resizing the image in a more sophisticated program to match the target ouput resolution. Printers are usually 300 to 1200 dots per inch and the screen is usually 96 to 120 dpi. Its pretty clumsy but that's why we changed it.